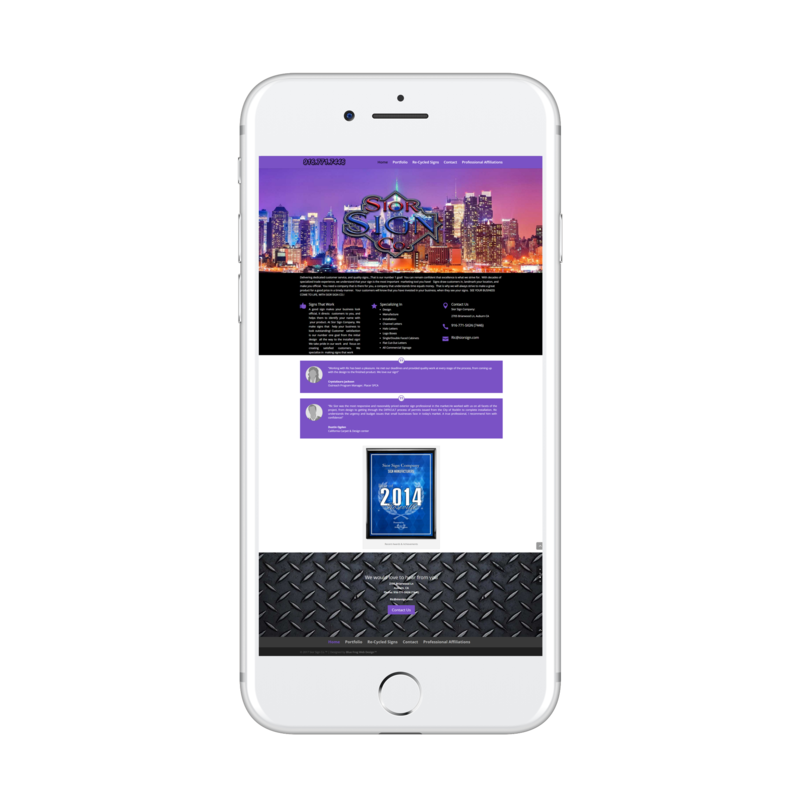 All images are captured on PC and will look slightly different on a mobile device as I design all new sites using “Responsive Design” technology which is “Mobile Friendly”. Delivering dedicated customer service, and quality signs. Your customers will know that you have invested in your business, when they see your signs. 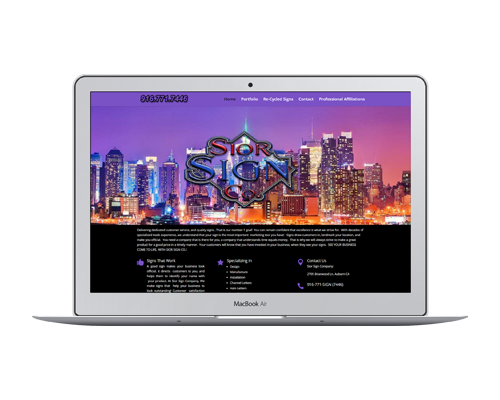 SEE YOUR BUSINESS COME TO LIFE, WITH SIOR SIGN CO.! I’ve worked with Paul @ Blue Frog Web Design since I started my business. He has been an intricate part of my web presence from day one! And, I’m not sure how I would manage without his input and assistance in all things web related. A huge Thanks to Paul for all that he does to help my business image. I would recommend his services to anyone.